A storage facility may seem like a repository for people’s stuff, but it’s also a place filled with stories. It’s a sort of melting pot in its own right, a place where recent divorcees store the refuge from their marriages, where entrepreneurs store the stock from their businesses, where college students dump the contents of their dorm rooms before heading off for the summer. In other words, storage facilities are very human—and human beings are weird. If you’ve ever wondered about what the guy next to you is keeping in his storage unit or what that sound is from the other end of the facility’s hallway, you’re definitely going to want to read this list. And while we can absolutely assure you that most of what goes on at storage facilities is pretty standard—and maybe even a little bit boring—it definitely can get strange sometimes. Here are eight of the weirdest things that really happened at storage facilities. A 24-hour storage facility discovered a midnight chop shop was being run out of two vacant units. They’d been leaving vacant units unlocked and marking them with yellow tags, and an opportunistic—and unsanctioned—business started up in two 12x40 units. When the police got word of the operation, they hauled out everything. These days, the storage facility locks vacant units. Some people are covert about the weird things they want to do inside their storage units. Other people, like the group at one Texas storage facility, are more open about their odd proclivities. Said group called up the storage facility and asked for a 20x20 storage unit for the purpose of starting a fight club. The facility manager kindly said no and reminded them that the first rule of Fight Club is never talking about Fight Club. Storage facilities have long played a starring role in many a horror film; just ask Silence of the Lambs. One aspiring young filmmaker decided to carry on the legacy of self storage on screen by shooting his own horror film in the hallway of the storage facility. While this wasn’t technically allowed, the facility decided to look the other way, for the sake of cinema. Speaking of horror films, one self storage manager encountered a real-life scary movie when opening up a storage unit that was set to go to auction. He cut the lock and discovered within the darkened unit five fully-clothed mannequins hanging by their necks from the ceiling. There was nothing else in the storage unit. For obvious reasons, the storage unit didn’t go to auction. When you sign a lease for a storage unit, you agree to not store anything flammable—and that definitely includes ammunition. 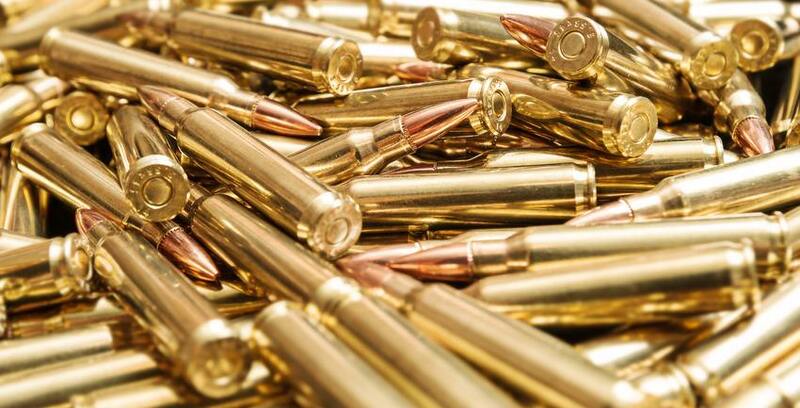 Unfortunately, one self storage tenant didn’t get that memo and decided to store about 50,000 rounds of ammunition in his 7x10 storage unit along with 16 guns. This was discovered after he lapsed on his rent. Bizarrely, when the facility called the owner of the storage unit, he didn’t answer. The facility then called the police, who contacted the man. He told them they could have it. The storage unit went to auction and sold for $3,000. It’s not every day the Department of Homeland Security, the FBI and the Texas Rangers show up to a storage facility, but such was the case one day at All Storage in Fort Worth. In true wild west style, the authorities had chased bank robbers all the way to their bounty—guitars, luxury items and piles of cash—all inside a storage unit. In September of 2014, the secret service showed up at a Texas All Storage location and told everyone on-site to evacuate the area, as well as the half mile radius around the facility. About 1,300 miles away, a man named Omar J. Gonzalez had jumped over the fence of the White House with a knife. He’d insisted that the atmosphere was collapsing and that he need to tell President Obama. He was arrested and sentenced to 17 months in prison. The connection? The storage unit belonged to Gonzalez. Officers found nothing suspicious inside, though the facility did report that the man had been trying to live in it.